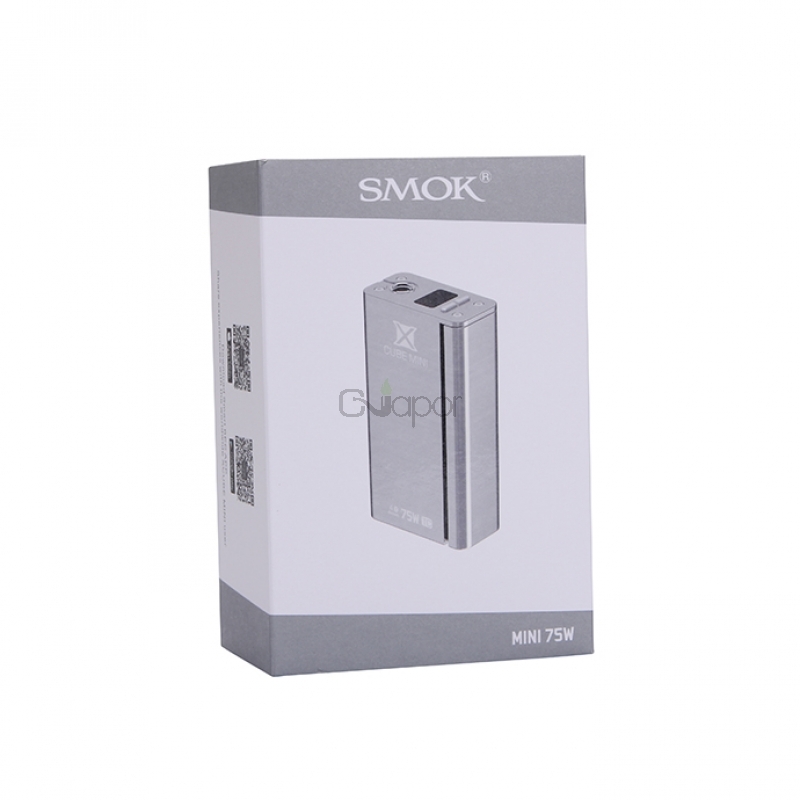 Shipping restriction: We can not sell any Smok products to Denmark, Russia, Austrlia, Poland, Netherland, Czech Republic, Slovakia, Paraguay, Ukraine due to exclusive distributor of Smok. 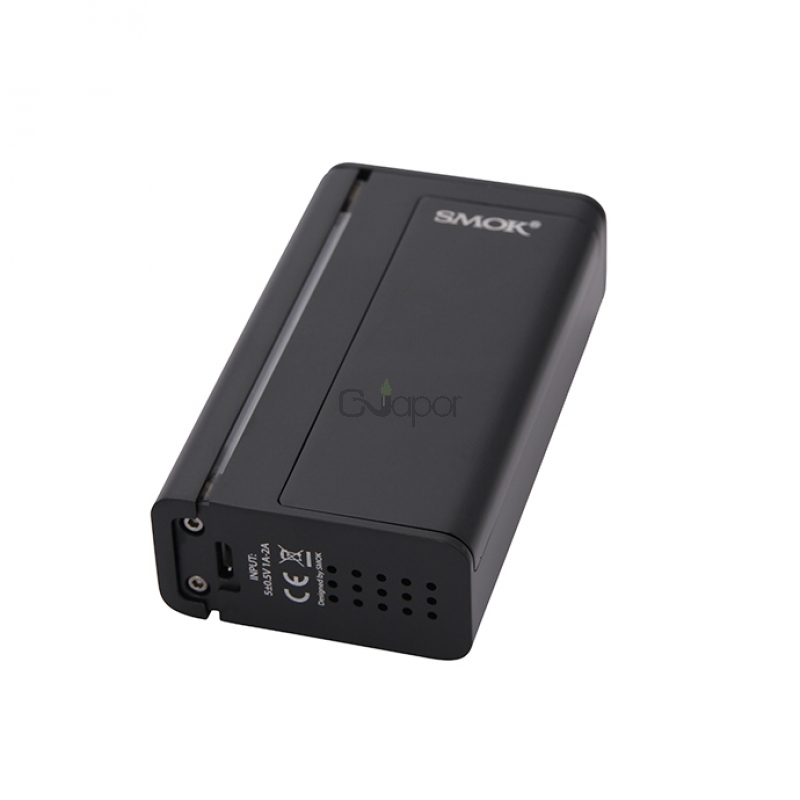 We will remove Smok products from orders directly and ship rest items out! 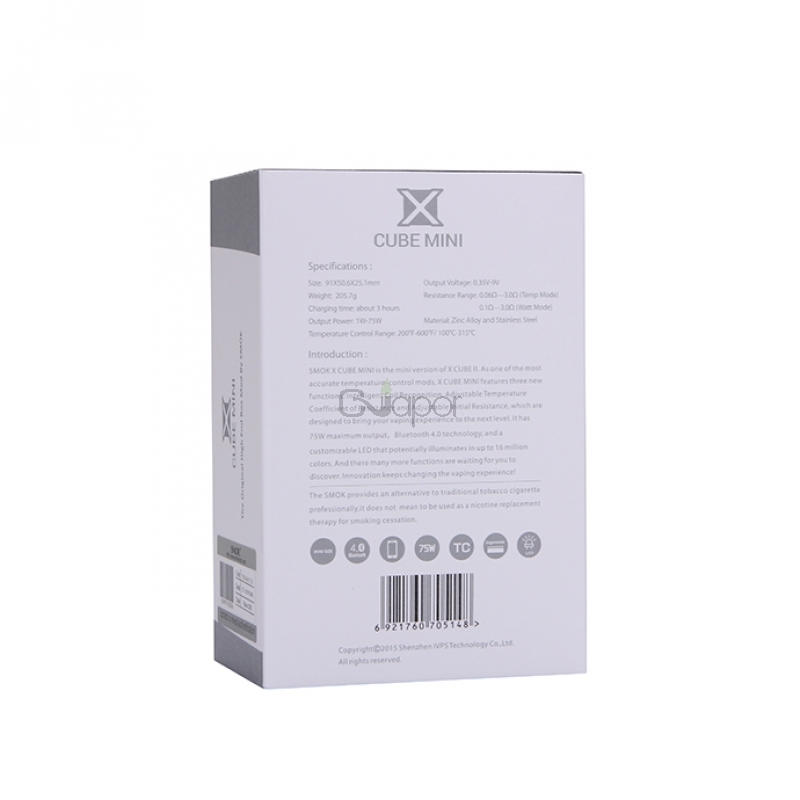 The difference will be refunded within 2-3 business days. Your kind understanding is greatly appreciated. SMOK Xcube Mini is the mini version of X CUBE II. 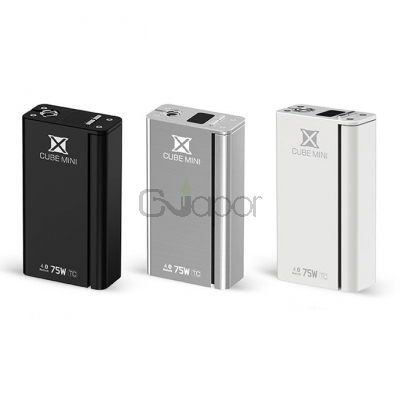 It features 75w output and Bluetooth 4.0 technology. 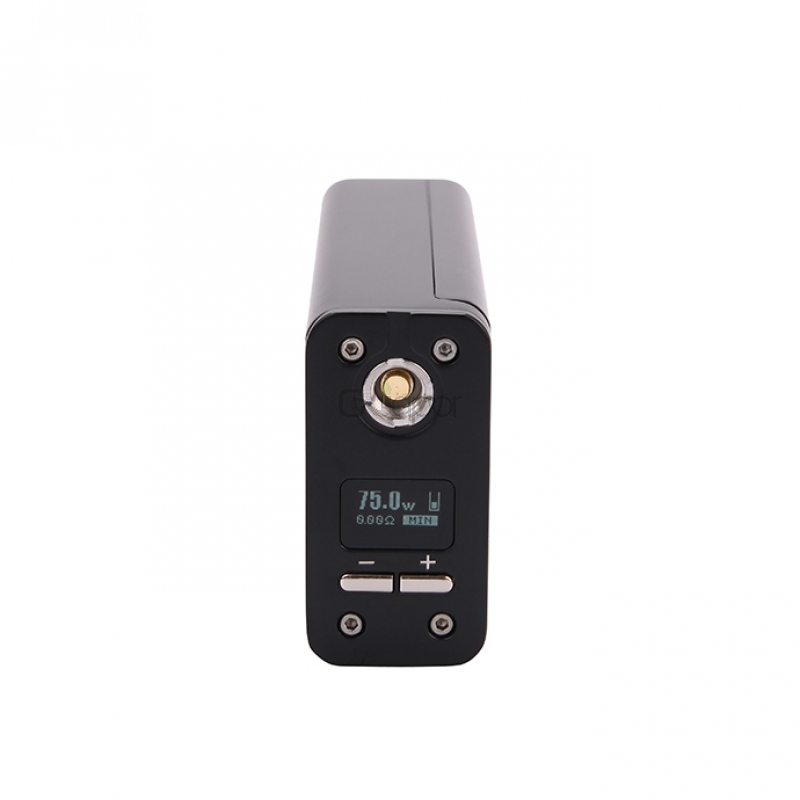 It also has three new functions: Intelligent Coil Recognition, Adjustable Temperature Coefficient of Resistance and Adjustable Initial Resistance are added to enhance the accurateness of temperature control, and produce unexpected consistency and taste of every puff. 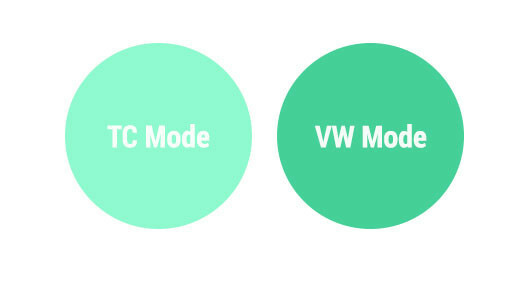 There are three output modes available: Temp mode, Watt mode and memory mode. 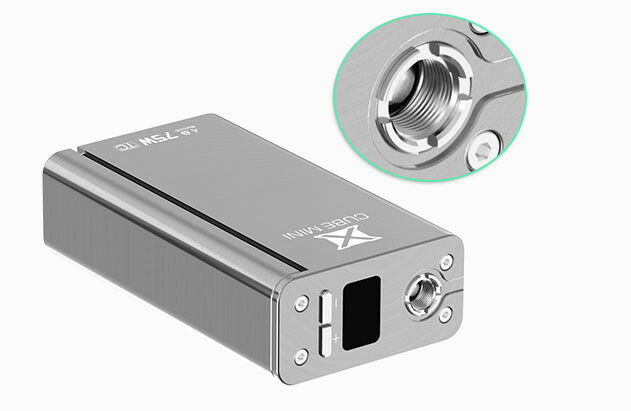 Under TC mode, the xcube mini can support Nickel 200, Titanium and Stainless Steel coils.